This Sunday a not so lovely girl. Here’s Sideshows The Babysitter from their os The Dead. 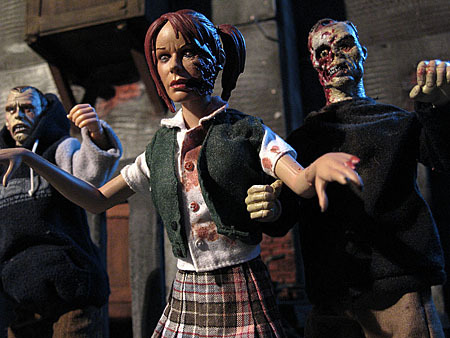 She’s accompanied by two of my custom zombies. This Sunday one of the very first BBI Cy-Girls. Here’s Kat with her New Ray Enduro. Time for the Sunday Girl again. Here are some pics of Laurie. She’s the dresser in my Tom comic and has a little role in Memento Mori as well. 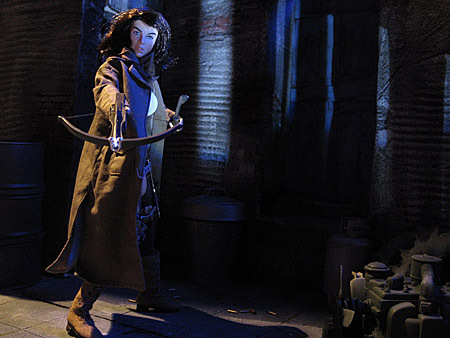 This Sunday some pictures of Alice fighting zombies. 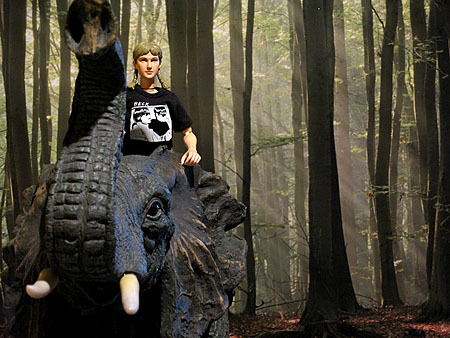 This Sunday some pictures of Anna and the elephant, who probably steals the show from Anna. It’s Sunday Girl time again. today some picture s of Bloody Rose – a Cy Girl Classic. I used parts of the Subura set and assembled the elements in a new way. Finally I brought in some modern props… and voila – it makes a nice dark and spooky backyard. You are currently browsing the archives for the Sunday Girls category.